Do you like Irish Crochet like I do? If yes, then this pattern for you. My inspiration for this pice was thw beautiful view created by the cherry blossom outside my window. I just had to capture its bliss! For the last week I was working on this project. 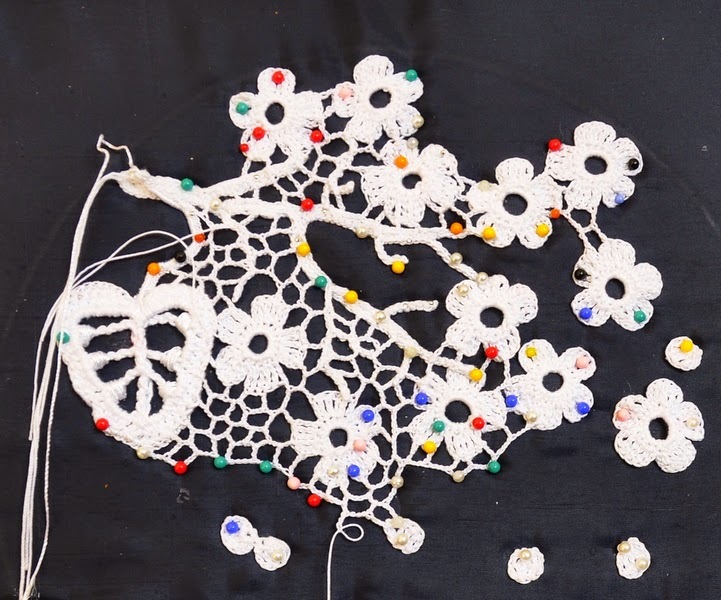 The pattern includes a step-by-step written descriptions on how to crochet the Cherry blossom branch Lace. I added charts and a link to a video tutorial to make it easy to crochet for you. The finished lace piece would decorate your denim jacket or a dress pocket. It is up to you. Yoy can use another yarn with a similar yardage. I got a lots of plesure from working on this Irish Lace piece.